My kids are asking for a different kind of Halloween party this year–they’re wanting to throw a Wizarding World party with the best tricks, treats and crafts from the Potterverse. I’m starting my preparations by testing out some recipes and the first I’m tackling: Harry Potter Chocolate Frogs. Let me tell you, the kids were SO EXCITED to snag a bite of these. 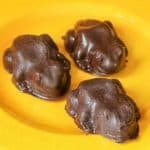 My own personal secret: They’re ridiculously easy to make and I can store them for a really long time–they’re just chocolate. Yay! And the best thing about these Harry Potter Chocolate Frogs? The fact that they look exactly like the ones in the movie. Yeah. They’re frogs–how can you screw that up?! And really, all you need is some chocolate, a little vegetable oil or canola or whatever, and a chocolate frog mold. 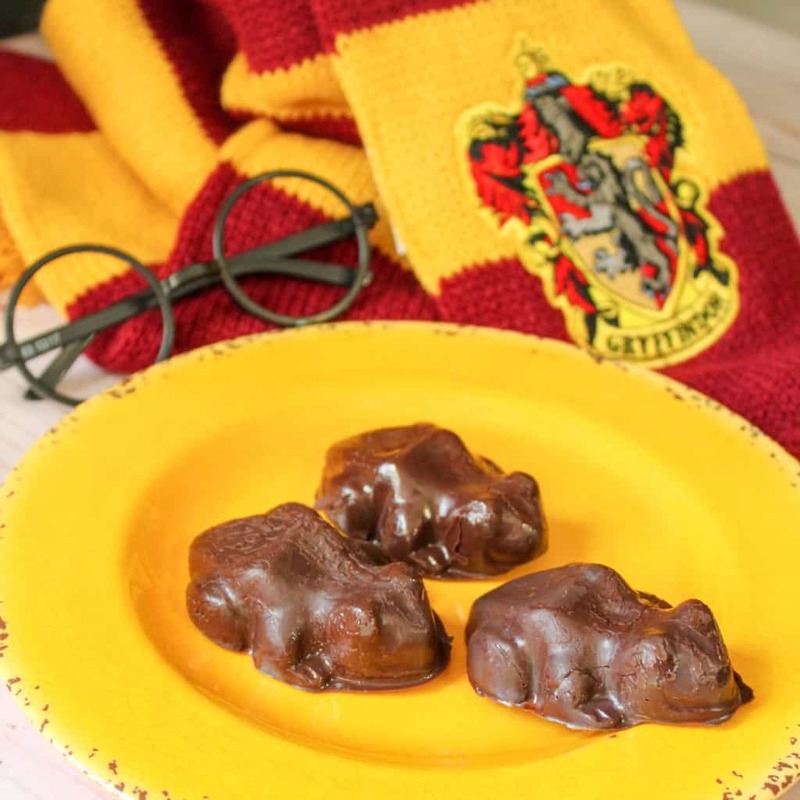 These sweet Harry Potter Chocolate Frogs are literally the easiest treat for a Harry Potter Party. If you’re gearing up to make them for your party, but just aren’t quite ready to make them yet, go ahead and get your pin on and save these to your party board. We all know you have one, Susan. Are you about to make a batch of the cutest, hoppiest treats in the Wizarding World? Sweet. 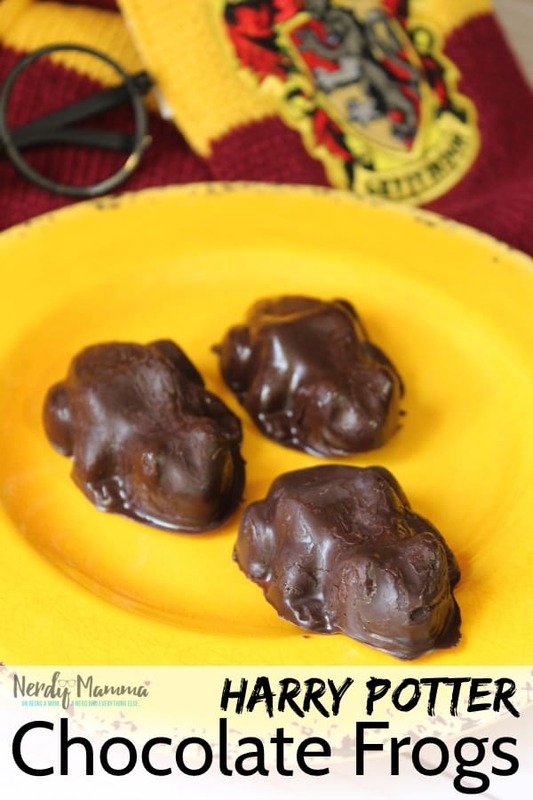 Let's get our Harry Potter Chocolate Frogs on and really get our HP party started off with a blast! In a microwave safe bowl, microwave the chocolate and a tablespoon of vegetable oil for 45-55 seconds. Remove from the microwave and stir until completely melted and smooth. 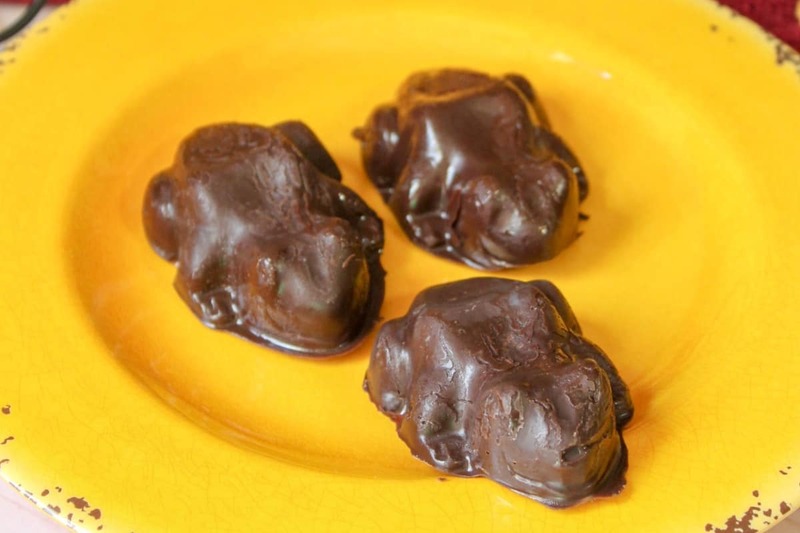 Pour the melted chocolate into the frog mold, making sure to evenly fill each mold. Put in refrigerator to harden for at least 2 hours.